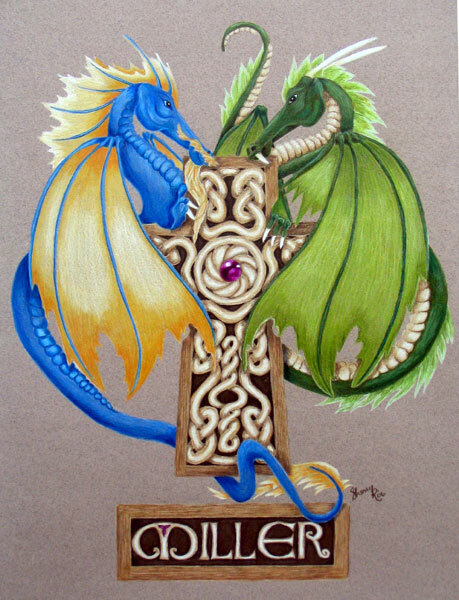 These dragons were a wedding gift for my sister Krista and her new husband Bruce. They took a loooong time and I was terrified at each new step that I was going to ruin them completely. However, it never came to that and they looked quite wonderful finished and framed, if I do say so myself. Prismacolors on Strathmore Artagain paper, 12" x 18". That is beautiful, Sherry. I bet Krista and Bruce loved it.